Wellness treatments improve your physical wellbeing and provide relief for numerous different ailments. Combined with the unique possibilities of the natural mountain pine moor of Bad Kohlgrub, these treatments are a comprehensive cure for many ailments and suitable for people of all ages. Ailments of the locomotor system, such as rheumatism and gout, can be treated just as effectively as organic illnesses. 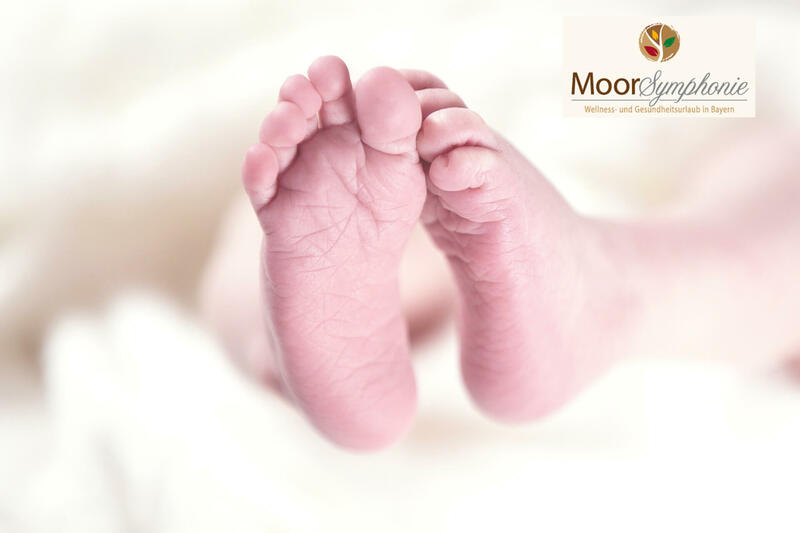 Inn addition, we have special offers for women who are trying to conceive or who have problems with their cycle. Last but not least, our treatments are a soothing balm for the mind and the soul. 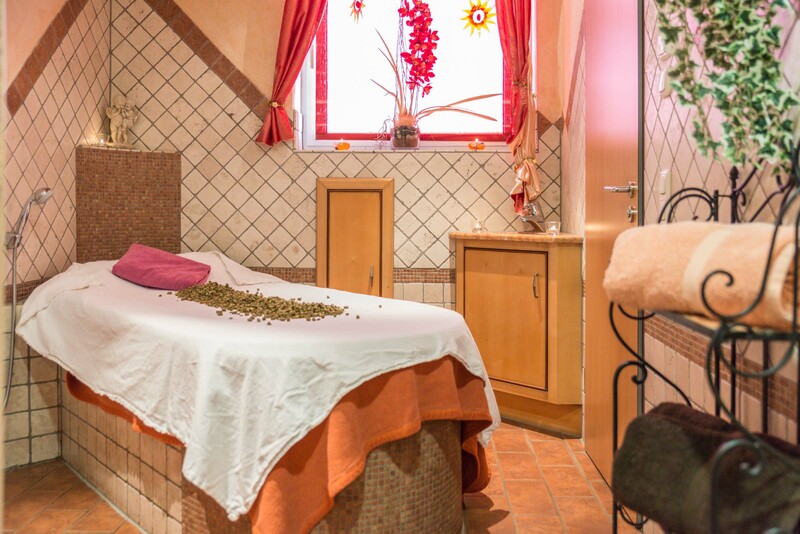 The calming climate in our modernly equipped health and bathing area and the personal care of a qualified physician both add to your wellbeing. Being great fans of the moor and our peat treatments ourselves, it is very important to us to share the soothing effect of the “black gold” from the mountain pine moor with you. Choose your personal favorites and put together an individual arrangement of spa and wellness treatments. In addition to relaxing techniques, such as singing bowl massages and massages with essential oils, our treatments focus on the use of the wonderful and special possibilities that the healing moor of Bad Kohlgrub provides us with. Humic, fulvic and ulmic acids are anti-viral substances with an anti-inflammatory effect. Large amounts of these healing substances can be found in the peat from the pine moor in Bad Kohlgrub. The humin, which can be extracted from the peat, is successfully used against herpes and has shown to have a positive impact on the hormones of women who are trying to conceive. The efficiency of peat baths as a cure for various ailments is scientifically proven. The cleansing effect and the high percentage of mineral components in the peat are a true delight for skin and joints. They significantly improve your self-healing potential and strengthen your body’s immune system. The people of the classic period already knew that one can benefit greatly from peat baths and healing baths. The special effect of Alpine herbs and peat essences was a popular remedy for all kinds of health problems during the ancient Roman Empire. The medical tradition of Medieval monasteries was based on the ancient knowledge of the Celts. In these ancient nature-inspired medical treatments, the human organism is always viewed as part of the surrounding world. Even orthodox medical research has confirmed the effect of this kind of treatment and scientists are now researching the mechanisms. Making use of the elements, our therapy restores the harmony of the body and the world around it, which creates a unique feeling of deep relaxation. The positive effect of warmth is a proven fact and there are many different ways to make use of it. Enjoy a pack of wild herbs that will provide you with the energy of a mountain pasture in full bloom or “sweat it out” in the hot sauna. In the special climate conditions of the Alpine Foreland, the prehistoric pine woods as well as numerous local forest herbs turned into a healing moor. A source of relaxation and comfort. The crystal-clear mountain water holds a special energy and purifies you from the inside as well as the outside. Alternating hot and cold baths in cool mountain water are the foundation to instantly re-energize the body. Experts agree that clean mountain air has significant health benefits. The high altitude has a positive effect on respiration. This effect is sustainable and is popular among professional athletes.